Sol Series is an effort to share stories from our inspiring community. To celebrate those individuals who are shining, innovating, and building a better world. 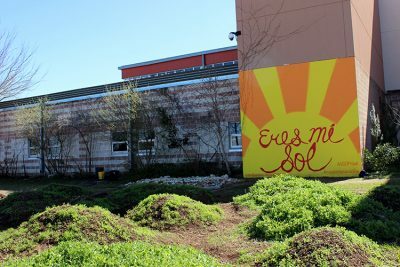 Lightly jostling each other for space, 6th graders at Clint Small Jr. Middle School in Austin, Texas gather in front of a student-designed mural of a rising sun reading “Eres mi sol” [You are my sunshine]. At their center, from where the painted rays radiate outward, is their teacher, Christopher Brooks. He smiles around at them proudly. It’s the end of another day in their environmental science elective class, The World Outside. 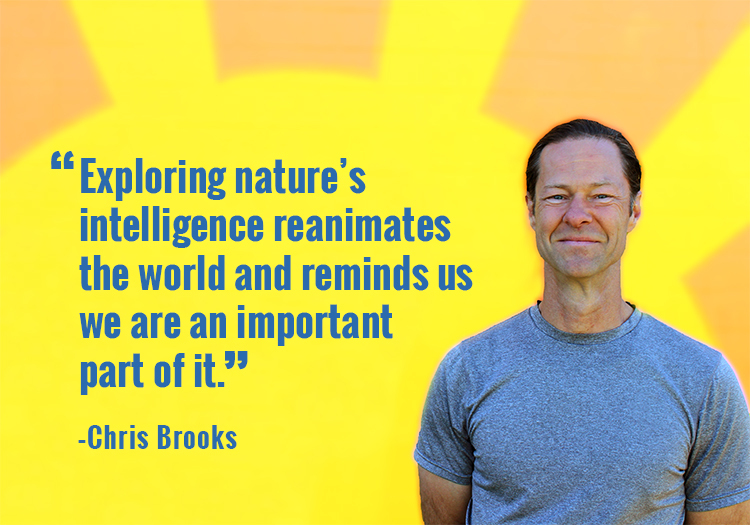 Brooks, who has been a pioneer for the last 13 years in merging sustainablity into public education and holds a certification in permaculture, explains that the method he uses to teach sustainable ecosystems is actually a sustainable system in itself. There are three tiers: 6th graders learn the concepts of systems thinking, 7th graders actually run the systems, 8th graders work on augmenting the systems. As the students progress, they build on their knowledge, while their projects are maintained year to year. The students have spent class time watering trees and plant beds, shifting soil with shovels, walking the goats and carrying their free-ranging chickens back to the coop, trooping across the sunny schoolyard. The chickens are fed pans of vegetable scraps rescued from the school’s kitchen. 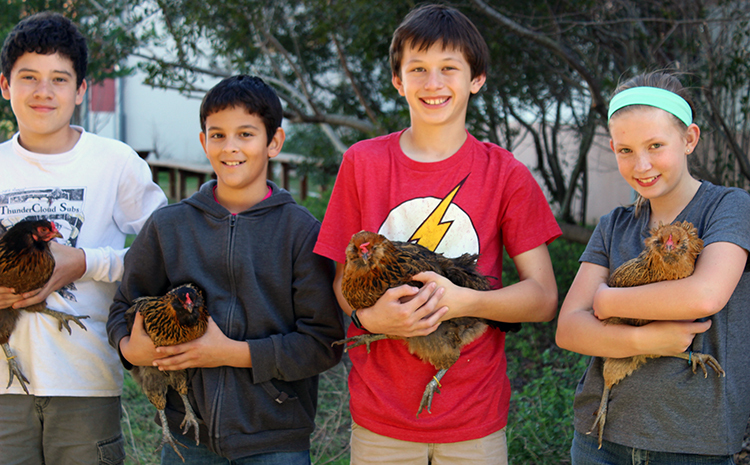 An egg club with the surrounding community allows the class’ chicken project to be economically as well as ecologically educational. 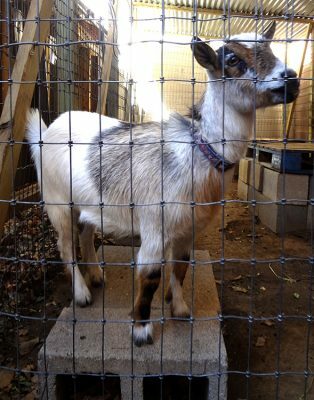 One of the goats in a nearby enclosure—part of a similar project with goat’s milk soapmaking—hops up onto a cinder block to watch the kids at work. Some projects are beautiful as well as insightful: plans for a small fruit orchard and succulent garden, plus construction on a medicine wheel herb garden are under way. Brooks’ students are also working on water availability—from the painted rain-catchment tank on the front lawn, to past pond projects, to water catchment piping along the back wall. His longtime partnership with EcoRise has given him more tools with which to support his students, though he acknowledges that complex concepts are often a challenge to teach in a classroom setting. He plans to incorporate biomimicry projects next year, and is excited for the chance to humble his students before natural systems. Do you know someone who is making an effort for positive change that you would like to see featured in Sol Series? Contact EcoRise with more information!